CAMDEN, N.J. (WPVI) -- Two suspects arrested as part of an investigation into an alleged drug ring operating in Camden, New Jersey have pleaded guilty. Jose Fortuna, 40, and his nephew, 26-year-old Wilson Fortuna, both of Camden, entered the pleas on Tuesday, the New Jersey Attorney General's office said. The elder Fortuna was accused of running a heroin mill out of his home in the 300 block of North 41st Street. His nephew was accused of supplying heroin to drug dealers. Both were arrested as part of Operation China White in March of 2014, and had also been charged as part of another investigation, Operation 3Ni. 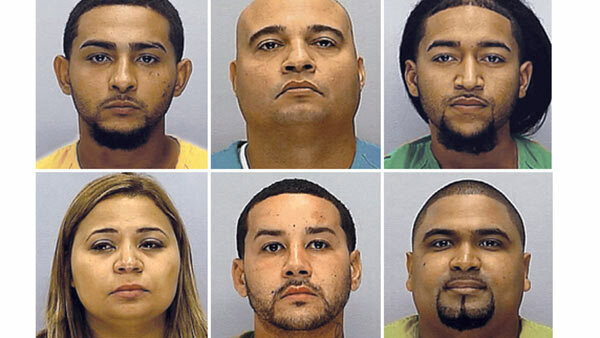 Six people were arrested in an operation targeting heroin sales in Camden, N.J.
A total of six people were charged in Operation China White, which targeted the Camden operation. Jose Fortuna pleaded guilty to first-degree maintaining a heroin production facility, a charge contained in the indictment in Operation China White, and first-degree distribution of heroin, in connection with Operation 3Ni. The AG's office said that, under the plea agreement, the state will recommend that he be sentenced to 14.5 years in state prison, including five years of parole ineligibility, on the heroin distribution charge, and a concurrent sentence of 12 years, including 4 years of parole ineligibility, on the heroin production facility charge. Wilson Fortuna pleaded guilty to first-degree distribution of heroin, a charge contained in the indictment in Operation China White, and second-degree conspiracy, in connection with Operation 3Ni. Under the plea agreement, the state will recommend that he be sentenced to 11 years in state prison, including more than three years of parole ineligibility, on the distribution charge, and a concurrent sentence of seven years on the conspiracy charge, the AG's office said. Ruben D. Ramos, 27, of Camden, pleaded guilty to second-degree distribution of heroin and was sentenced on July 24, 2015 to 5 years in state prison, including 2 years of parole ineligibility. 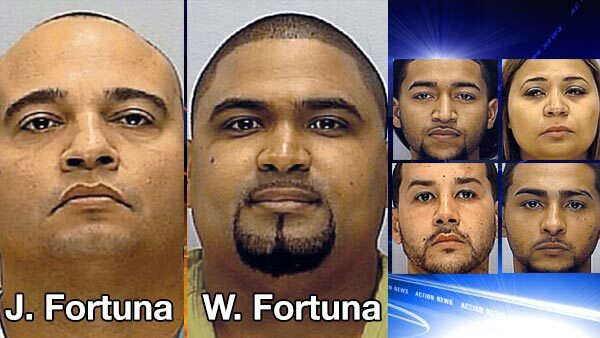 Andy Lopez, 31, and Jose Then-Ruiz, 24, both of Camden, are scheduled to begin trial Monday, March 28. The charges against Jasmine Vallar, 38, are pending.